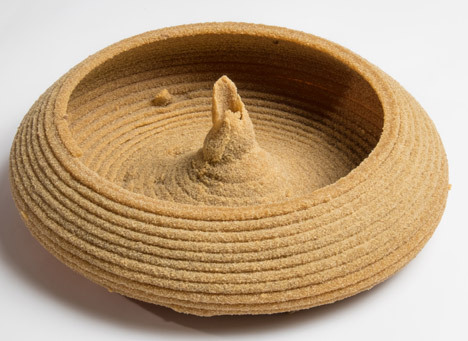 These bowls are formed by a robot that injects paths of resin into sand-filled containers, forming solidified objects that are then dug out like ancient artefacts (+ movie). 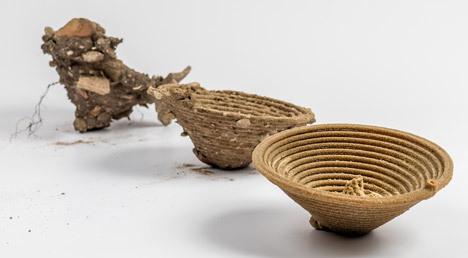 Israel-based mostly designer Jon McTaggart is presenting his Artefact undertaking at this year’s DMY Berlin design and style festival, which kicked off in the German capital yesterday. The designer began the task to check out the “which means of standard craft in the age of digital style and manufacturing”. His commencing point was to collect sand from the ground outdoors his workshop, making certain to depart in all pebbles and stones. He began the experimentation by hand, pouring resin in excess of a pyramid of sand and enabling a form to kind as it dripped down the sides. Functioning with the Grasshopper parametric style computer software, McTaggart programmed a script for an industrial Yaskawa robot – a lot more commonly employed in the car sector for welding. 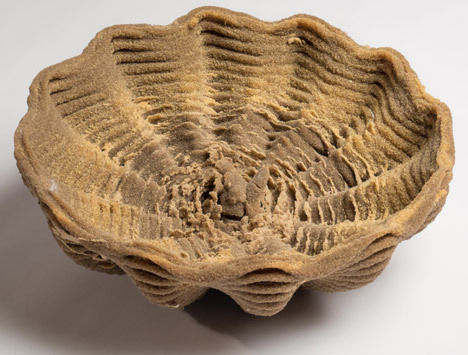 The resin is then left to solidify and the piece is excavated from the sand when it is dry. McTaggart started the venture 6 weeks ago, and has given that created 13 objects making use of the strategy. 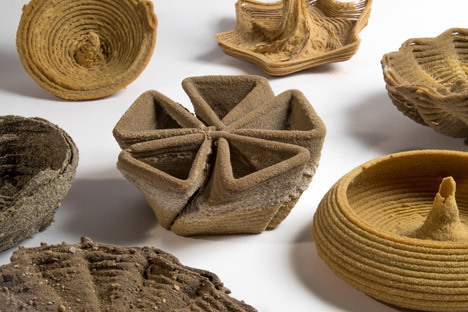 He programmed the robot to kind different shapes in the sand, resulting in a varied set of sculptural bowls. 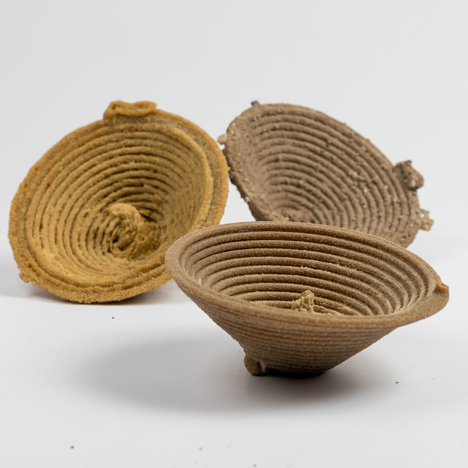 Planning to carry on his experimentation of materials combinations, the designer believes the strategy could ultimately be utilised within the food market. McTaggart has previously worked with Christian Ferrera to produce a wall-mounted graph that visualised digital information as kinks in a piece of thread. DMY Berlin continues till 14 June at the city’s Kraftwerk Mitte venue, Köpenicker Strasse 70.